Curiosity might be a liability for felines, but it is the secret sauce you’ve been looking for in the workplace. Why? Because we live in a complicated world, where successful business ventures rely on experimentation, boldness and a willingness to try new things. Reactionary thinking only causes more problems — but natural curiosity, with all of its “why don’t we try it this way” pioneering spirit, may be the only way to respond to a world that changes as frequently as ours. Since the professional world is always interested in what it takes to build a more efficient and responsive company culture, many surveys are conducted each year to get to the bottom of which traits make for the best employees — and the healthiest, best-adapted workforce. What we now know is that more and more CEOs are praising curiosity — and its close cousin, open-mindedness — as one of the most important qualities in a potential new hire. Indeed, a recent survey conducted by PwC, showed that these traits rose to the top of desirability rankings among the thousand-plus CEOs queried. This might feel like an obvious shift in perspective, and maybe it is — but it’s enlightening to see so many noted CEOs coming together on this topic. It makes a lot of sense, too. Leadership these days appears to be less about possessing all of the answers from the get-go and more about being willing to explore new ideas and fresh concepts to tackle the unforeseen. To put it more simply, the world has grown too interconnected and complex to rely any longer on “conventional wisdom” or familiarity with the status quo. We’re not just guessing here — curiosity has actually been on the mind of some prominent researchers. What we now know is that curiosity is an important characteristic when it comes to thinking creatively to solve problems. This type of data saw publication recently in the journal of Personality and Individual Differences. Co-authored by Alisha Ness and Jensen Mecca, the research provides some key insight into why curiosity should be one of any hiring manager’s most sought-after traits. According to their findings, employees who earn strong marks for curiosity on personality evaluations tend to work more creatively, are better suited for working on new concepts and are generally more effective problem-solvers. This all makes perfect sense. The team member who’s not afraid of exposure to new ideas is probably quite a bit more likely to see a solution before anybody else. During Ness’ and Mecca’s study, they had 122 college students take a personality test to specifically evaluate their curiosity. From there, they asked them to try their hand at working with a retail company to develop a marketing campaign. Their findings were pretty clear: The participants who exhibited strong curiosity early on ended up developing more ideas than their less curious peers. That’s all great news, but curious folks go even further. Since the modern workplace requires cross-training, diverse skill sets and frequent collaboration, employing curious people can make all these moving parts, well, move a bit more smoothly. By making curiosity one of the primary features you look for in a potential new hire, you can build a team full of people who are more willing and better able to tackle a variety of projects, learn new skills and disciplines. Overall, these individuals can make your organization more efficient, effective and ready to tackle whatever new challenge comes next. Related: Curiosity Might Have Killed the Cat. But Don’t Let It Kill You. There’s one more unsung benefit of curiosity: improved empathy. Curious people are much more likely to make genuine efforts to get to know others — a road that leads to stronger and more trusting relationships, both inside the workplace and far beyond it. We all know the world is troubled, but rarely do we spend time thinking about what it actually takes, on a personal level, to co-exist and even thrive together. Mutual respect and understanding don’t just arise out of nothing — we have to work for them. Frankly, the world could use a bit more empathy these days — and fostering curiosity is a great way to encourage it. One of my favorite quotes is from Og Mandino: “Always do your best. What you plant now, you will harvest later.” This thought is certainly true for your Instagram account. One of the most challenging parts of getting an ROI from Instagram is that you have only one link to use. The link inside your bio is the only spot you can use to actively drive a prospect into your sales funnel. 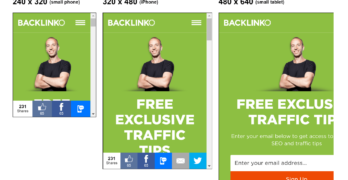 This link should be used wisely and never simply as a link to your home page. Since Instagram isn’t a place people go looking for goods and services, to use this networking platform as a lead generation tool, you need to offer your prospects something of value in order to get them to click on your bio link. The goal with your Instagram link is to provide something so valuable that the prospect would pay for it if it wasn’t free. But of course, they don’t need to pay you. All they need to do is give you their contact information. This could be a free guide, ebook, report, coupon/certificate, video series, webinar, mind map, check list or ticket to an event. Following your magnetic offer (or lead magnet), there should be an opportunity for your prospect to become a customer. If you own an ecommerce business, this offer could come immediately following the initial magnetic offer, while high-end luxury products might use a few messages in between to nurture the relationship before asking for the sale. For consulting services and health care practitioners, your goal is to drive your prospect to an offline conversation. My husband and I have been house hunting for three years now. Through several mishaps, houses we’ve gone after have fallen through. In these three years, we’ve seen close to 100 houses. The reality is, no one wants more information. Information itself is useless. What we all want is the outcome the information will provide, and if there is something else that can provide us with that outcome, such as an “Easy Button,” we’ll take that over any guide, report or ebook. We want to know that there will be transformative value for our lives in anything we spend time saying or doing. The same is true for your Instagram platform tribe. If you can help them solve their problem quicker with a tool, you not only have a new email subscriber, you have a new customer. I have split-tested the biscuits out of this, and tools beat information every time. And then, there’s another strategy we’ve been testing for our own funnel and for some of our ecommerce clients that has been working better than anything else we’ve tried — ever. And that’s attracting prospects with information laid out like above, and then offering an opportunity to purchase something for $1 afterwards that can help make their lives easier quickly. My best-performing funnel of all time is one where I offered a free chapter of The No B.S. Guide to Direct Response Social Media Marketing (information), followed by an offer for 113 social media posts plus bonus images for $1. The first step is something with value (chapter of a book you normally have to pay for), and the second is a tool that helps you get something accomplished quicker. The tool also includes an option to take a 60-day trial of our Marketing Insiders Elite Club. This funnel rocks because it’s focused around the interests and needs of my chosen tribe of fabulous get-er-done marketers and helps them get their job done faster. This funnel brings us members for less than $5 each. And since our mission is to empower as many people as possible to get an ROI for their business, this helps us to go a heck of a lot farther with our budget. We have a similar funnel working for several of our clients with comparable results. I haven’t done a ton of testing of different price points for step two, but I have split-tested free-plus-shipping versus a straight $1 offer, and the dollar offer wins every time. Look up the top questions asked about your industry. Record yourself answering the questions through the voice memo app on your phone. Upload the recording to www.InternetTranscribers.com for a transcript (about $20). Send the transcription to www.TextBroker.com to flesh out the report (about $10). Request a report cover design from www.Fiverr.com (about $5). You have your lead magnet for $35 in. Let’s take a closer look at each of these automated marketing techniques and how you might use them to promote your small business. While automated marketing does extend beyond electronic mail, email marketing is by far the most popular use of marketing automation and the top digital marketing tactic used today. Much of this is due to the benefits of email marketing including more leads, higher conversions, and lower marketing costs. Click here to discover eight things you can do with automated email marketing. Profiles, for both your leads and customers, are the basis of the next four automated marketing techniques. Targeting is the practice of focusing your marketing efforts on a specific group of people called a target market. Thanks to automated marketing tools, targeting, down to the individual level, is easier than ever, even across multiple channels such as email. Your emails: the emails they open and the links within those emails they click. Based on these data points, you can hone your marketing efforts to a fine point by sending offers for the products and services in which they’ve implicitly expressed interest. In addition, you can use these profiles to target your customers using one of the four techniques below. Whether on your website or via email, personalizing the experience is an effective way to market your products and services. When it comes to email marketing, the numbers show that segmenting your email list, sending different emails to different recipients based on their profile, is very effective. Timing is everything and then same is true for both email marketing and social media. If you don’t time your marketing messages correctly, there’s a good chance your email or social update will end up lost down in an inbox or social media stream respectively. Open your emails and click on the links inside. In addition, make sure to account for a customer’s time zone when configuring your automated marketing. For example, if you want to hit folks with an email first thing in the morning, use time zone targeting to stagger the email broadcast. Every point of data you gather in a customer’s profile can be used to create an email segment. And use them you should – the more specific the segment, the more effective it will be. Scoring your leads is an advanced form of segmentation, both for email marketing and beyond, that enables you to target the leads who are most likely to buy your products and services. Products viewed, added to cart, and purchased. Each time a behavior occurs, it demonstrates the engagement of the lead and, the lead’s score goes up. From on-site targeting to personalization, and lead scoring, you can use automation to more effectively market your products and services to both leads and existing customers. This automation extends well beyond email marketing and is worth considering as your build your marketing arsenal. 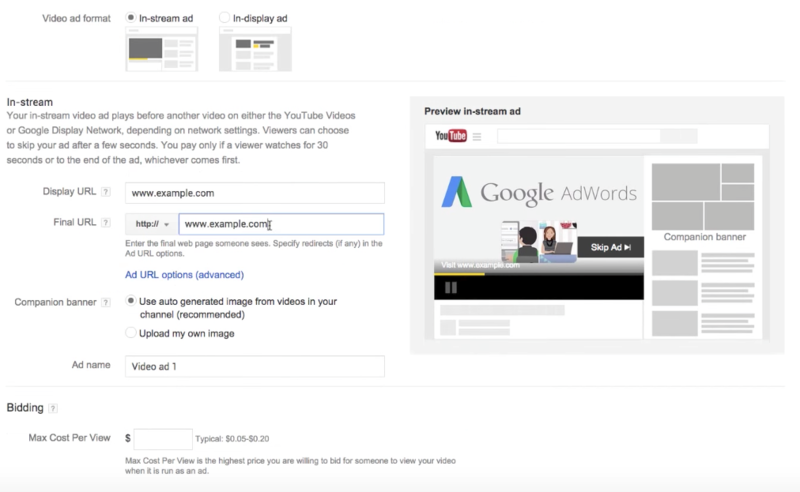 TrueView is a Google AdWords feature designed to make video advertising simple and effective. Specifically, the too, helps you place video ads on YouTube, the second largest search engine after Google, whose parent company owns both platforms. The three way marketing connection between YouTube and your business comes together with TrueView for Shopping. With these five steps you will be able create your TrueView video ads and the necessary accounts to start advertising. If your business is already advertising on Google via your AdWords account, you are one step ahead. If not, your first step will be to create an account with AdWords. 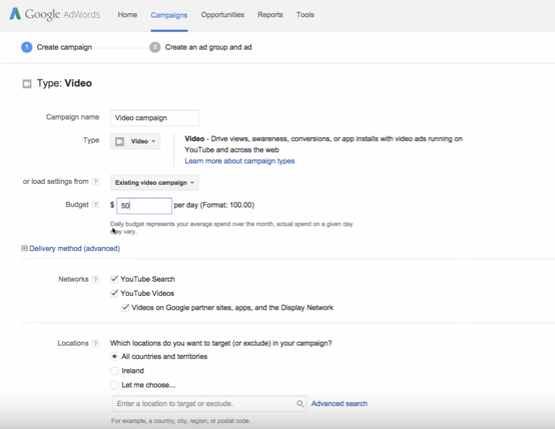 When you click “Video” it will take you to your “Create campaign” page to add in your video campaign details. After you enter the details, click “Save and continue” so you can create your Ad Group. 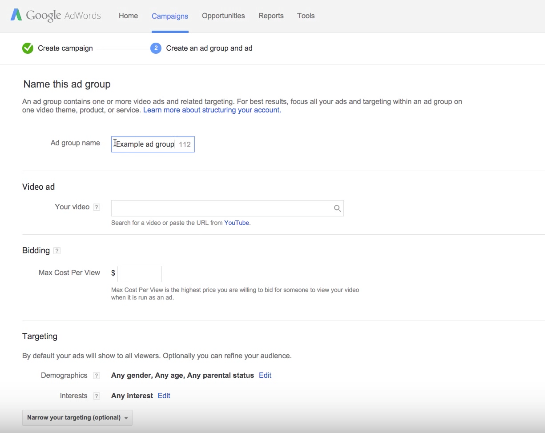 You should now be on the “Create an ad group and ad” section. On this page, you will fill in the ad group name and video ad details. In-Stream — ad plays before, during or after viewers chosen video. In-Display — ad appears on the right side of YouTube pages along with recommendations and search results. Once you choose your option, a new section of details will appear to create your ad. In this section, you will fill out the information that creates your ad. You will also see a preview of your ad to show you the final version before moving forward. In order to show your video as a TrueView advertisement, it must be hosted on YouTube. That means you will need to create a YouTube channel. Once you create your video and upload it onto your channel, you will have a video URL. It’s that URL that you will add in the video details. The greatest benefit of TrueView videos is that you are only charged when your audience interacts with your ad. Clicking on any of your Calls to Action (CTA’s) or associated banners. 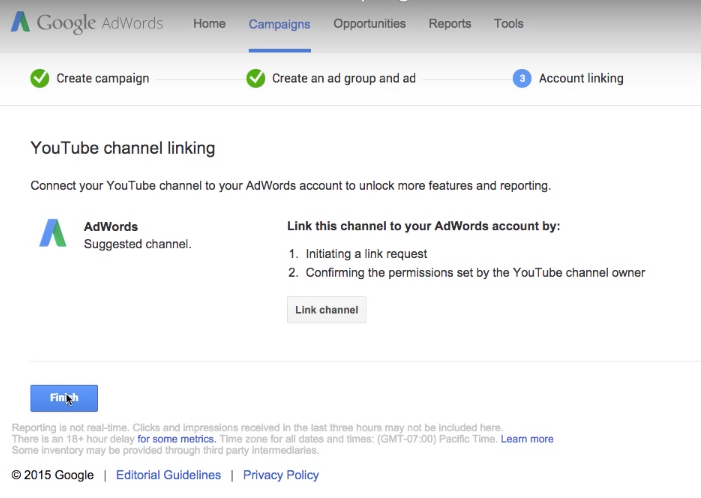 The final screen will allow you to link your YouTube channel to this particular AdWords account if you haven’t already. Click “Finish” and you are done. TrueView is now at work targeting your audience with your video. Starting an eCommerce business can be a lot easier with the help of a drop shipping company like AliDropship. You can read more about this small business and the services it provides to eCommerce businesses in this week’s Small Business Spotlight. Offers services for drop shipping businesses. Yaroslav Nevsky, CEO of AliDropship told Small Business Trends, “We offer all-in-one solution for AliExpress drop shipping business, including a handy WordPress plugin with automation tools, custom store development service and free lifelong personal support. With this solution anyone can easily create a professional web store and start running a drop shipping business right away. Understanding the needs of clients. Because of their own drop shipping needs. Expanding the team of developers. The name LeBron James is synonymous with the National Basketball Association, and with the sport of basketball in general. The current front man of the Cleveland Cavaliers has an extensive and distinguished career under his belt, packed with championships, titles and several individual honors. James is one of the greatest basketball talents the world has ever seen. After watching him on the court, it is evident that we can learn quite a bit about the game and the value of hard work from his consistently superb performances. Most people can at least gain an appreciation for the beautiful game of basketball after witnessing a player of James’s caliber effortlessly dribble around another team and ring in buckets of points. But the NBA superstar also offers lessons to entrepreneurs. Here are six bits of wisdom entrepreneurs owners can learn from LeBron James. The story of James’s rise to basketball stardom is well known. Already a sought-after NBA prospect in his high school years, he’d been breaking records and bagging athletic distinctions well before he set foot in an official NBA game. What’s critical about James’s high school performance is the leverage it gave him going into the NBA draft and his rookie season. James was the No. 1 draft pick because of his hard work to capitalize on his natural talent. However, the point here isn’t that he worked hard (although he did), but that he made himself desirable as a prospective player. By surpassing expectations and earning praise in high school, James made himself marketable to professional teams looking for young talent. Businesses can learn from James’s pre-professional career that marketability and branding are the keys to long-term success. Related: Did LeBron James Win the NBA Finals Sneaker Battle? Perhaps the most memorable stint of James’s long career is his time with his home state’s Cleveland Cavaliers (the first and the second time). It’s fair to say that his time with the flashier Miami Heat is equally memorable, but was more infamous than famous. Briefly ignoring his detractors, let’s look at the move objectively. Sure, LeBron left behind his teammates, fans and even his hometown in his journey to South Beach, but ne never ceased churning out excellent performances. James’s time with the Heat included two back-to-back championships, a testament to his adaptability. Entrepreneurs can learn from James the value of adjusting their business approaches to different audiences, so that they can maintain success in marketing. Despite all the heat (pun intended) James took for moving to Miami, the fact remains that switching teams showed his desire for success. The consecutive championships he won in Florida were the result of James’s refusal to pass up any chance he had to win a title. Although he had had previous success with the Cavs, James seized the opportunity to move so that he could achieve greater success and further spread his image as a star basketball player. In the same way, businesses and entrepreneurs can learn to take risks and be willing to pivot in order to spread awareness of their brand and ultimately become more successful. Now that the criticisms of LeBron for his betrayal of Cleveland are over, we get to talk about the exciting part — his return to the Cavs. All was forgiven when James made his decision to return to his former team, his former fans and his hometown. As a native of Ohio, LeBron James was and is beloved on the Cavs’ starting lineup. James was a homegrown idol for the native Cavs fans. That’s why his move to Miami was so widely disparaged, especially by his former biggest supporters. James’s reappearance on the Cleveland roster was more than just a gesture of kindness to the people he’d left behind a few years earlier. He came back because it was the right thing to do. Coming back to Cleveland not only restored the trust of the Cavs fans. It also demonstrated a deep loyalty between the player and his advocates. Businesses can learn from James’s actions that abandoning the bigger crowds in favor of your earliest adopters and most committed fans might be the better for their image. Perhaps what is most impressive about James is his consistently high performances. From his rookie season and every season since on the Cavs and Heat rosters, James has always set a high standard for himself and the other players on the court. He has never become complacent. He continued to work hard through it all; three NBA championships and numerous individual and first-team honors are ample proof of this. Entrepreneurs can learn from James the importance of continuously doing their best. Current success is never an excuse to stop delivering to their loyal audience. We could analyze the nuances of LeBron’s game for hours, but the greatest lesson we can glean comes from what he says off the court. Recently, James named Gregg Popovich the greatest NBA coach of all time. Popovich is a man who has denied him two NBA championships, so it may come as a surprise that James praises him. However, his applauding of the Spurs’ coach in spite of previous rivalries shows great maturity on James’s part. It also establishes LeBron James as an athlete who values the dedication NBA coaches so often bring to the game. James’s respect for rival coaches teaches businesses the power of collaboration. Services like CoachTube allow athletes to connect with expert coaches to perfect certain aspects of their game. This focus on collaboration drives this business and so many others that allow users to interact with each other. Everyone would expect LeBron James to be able to teach us a thing or two about basketball, but he can also teach us a lot about succeeding in business. Deep Patel is the author of A Paperboy’s Fable: The 11 Principles of Success. The book was dubbed the #1 best business book in 2016 by Success Magazine and named the best book for entrepreneurs in 2016 by Entrepreneur Magazine. The qualities that separate good performers from those who are future-proof — high-impact leaders who have long, successful careers — are not always evident. Although strong performers demonstrate some common traits — they communicate effectively, rely on trusted instincts for decision making, and leverage the people and resources around them to solve problems — it’s the less-obvious intangibles that often mark the difference between productive and invaluable. Chief among these is the capacity to navigate the hidden curriculum of work. This is no easy task. Navigating the hidden curriculum of work — interpreting the unwritten rules of your job and overcoming its many ambiguous hurdles, all while simultaneously adding value to your organization through your own continuous learning and performance — leads to a future-proof career. And learning to do this kick-starts a virtuous cycle of spotting barriers and transforming them into opportunities for growth. Changing the way you think and feel about your challenges on the job — including seeing each one as a nuisance to avoid and recognizing the specific learning and performance gap within it — is the first step toward extending your contribution beyond the job description. This shift is what enables you to stand out, stay ahead of the change curve, and remain relevant. Jesse Sostrin, Beyond the Job Description: How Managers and Employees Can Navigate the True Demands of the Job, 2013, Palgrave Macmillan US, reproduced with permission of Palgrave Macmillan. “Make your passion a profession” is what Apple says the job can mean to you. Are you looking for a way to make money from home? Do you like helping people, using technology and providing excellent customer support to others? Would you like to find a way to work from home so you can be serious about your career, but also be there when you family needs you? If so, you might want to look into what Apple Home Advisor jobs could mean for you. They are willing to train you and provide you with an iMac computer and headset. You will need to provide a quiet and distraction-free work space, an ergonomic chair, a desk and a network connection. You will be answering Apple customer support phone calls from the comfort of your own home. You will help callers with their issues, show them how to use their new phone, product or camera and so on. If you have a knack for technology, especially Apple products, you are already home free. Apple says even those who work part-time receive a robust benefits package, including product discounts and paid time away. They also offer resources to help you promote your own career development. They suggest helping you is helping them because the kind of work you will be doing for Apple in the future may not have been invented yet. Pretty amazing to think about. Do you love your office space? How does the space you work in make you feel? Chances are, if you aren’t enjoying the space in which you operate your business, your employees don’t enjoy the space either. And if your employees don’t like the space in which they work, it has a direct impact on their productivity and your ability to create a successful business. Research actually reveals it is important to invest in a strategic, beautiful office design to motivate and inspire your employees. But how do you go about designing an inspiring office space? According to Cubicle Concepts, a new and used office furniture provider in Chicago, a well-designed office — both in terms of function and aesthetics — can inspire workers and also visitors. Use office colors strategically because people experience psychological changes when exposed to certain colors. So, for example, red can get employees excited about where they work, while blue and green can communicate feelings of relaxation, hopefulness and calm. Designated lounge spaces with comfortable seating and cozy set up like a coffee shop or café allow the body and mind to rest, which improves productivity and focus at work. Look for furniture that is comfortable, can be moved easily and has multiple uses. This type of furniture enables collaboration without sacrificing focus and worker well-being. People who use co-working spaces every day or some days of the week feel like they’re part of a community and see their work as meaningful. This boosts worker productivity and fulfillment. Sometimes we need quiet workspaces to do our best work. Offer a quiet zone, ideally with noise levels between 48 and 52 decibels (dB), to facilitate this. Add office plants to improve workspace aesthetics and air quality. Other wellness tips you can use in the office include adding health focused furniture, such as standing desks and stability ball chairs. Check out the cool infographic below by Cubicle Concepts with more details on how to create an inspiring workplace. With more than 100 million daily active users, Instagram has become nearly impossible for brands to ignore. That said, not every brand using Instagram is doing it well. To evaluate whether your Instagram activity is making a positive impact on your business, you must measure how your posts are driving outcomes. Whether you’re getting ready to launch a new Instagram account or looking to take a more results-oriented approach to an existing account, a few key metrics can help guide you to success. Follower count is one of the easiest and most crucial metrics to track. On your personal Instagram account, you might simply share cute pics of your dog with friends and family members. But if you’re managing a business account, you want your content to reach as many people as possible in your target audiences. When it comes to Instagram, the old saying about “the more the merrier” couldn’t ring more true. Attract more Instagram followers by tagging your posts with popular hashtags related to your industry. Our team grew Foundr Magazine’s Instagram audience from 0 to 500,000 followers in one year by tagging our posts with key hashtags: #entrepreneur, #business and #startup, to name a few. These hashtags allowed people interested in entrepreneurship to find our content and connect with us. You’ll want to tag your posts with hashtags that are relevant for your business. If you’re selling running shoes, you might use the hashtags #run, #fitness and #instarunners. If you’re selling high heels you might choose #fashion, #ootd (Outfit of the Day) and #style. You quickly can identify popular hashtags by typing an industry keyword in Instagram’s search box. Don’t be afraid to load up on hashtags. Twitter restricts character count, but Instagram allows up to 30 hashtags. While it’s common to see posts that max out on hashtags, 5 to 10 is considered a best practice. Not sure which hashtags will gain the most traction? Go with the most popular (the most posts), or take a look at what other brands in your industry are doing. Once your Instagram account starts growing, you’ll want to make sure your followers are engaging with your posts by liking and commenting on them. The industry standard is 70 interactions per 1,000 followers. +38% likes on posts that include images. +30% increase in engagement for images showing real customers using products. +29% likes for high background space. +24% likes for light images versus dark images. You need to plan your Instagram posts to maximize their impact. It’s no different than conceptualizing a billboard or print ad. Consider creating an editorial calendar for your business’ Instagram account. Plan the type of images you want to post every day — a week in advance. Then, take an afternoon to shoot and edit all the images so you have the perfect visuals ready when it’s time to update your Instagram account. Filters for static images were Instagram’s original claim to fame. Since then, the social network has introduced video posts, and users now can create Instagram Stories. People and brands stitch together multiple photos and videos from within a day. Track the views your Stories are getting, just as you watch your engagement metrics for regular posts. A high number of views (relative to the size of your following) means your Stories are clicking with users. A low number of views tells you it’s time to experiment with different content for your Stories. Try to vary your Story updates with a mix of product highlights, behind-the scenes snaps and quick tips. Have fun with your posts and don’t worry about over-sharing. Stories actually are ideal for brands because the feature offers the opportunity for multiple touchpoints with consumers throughout the day — without inundating their feeds! 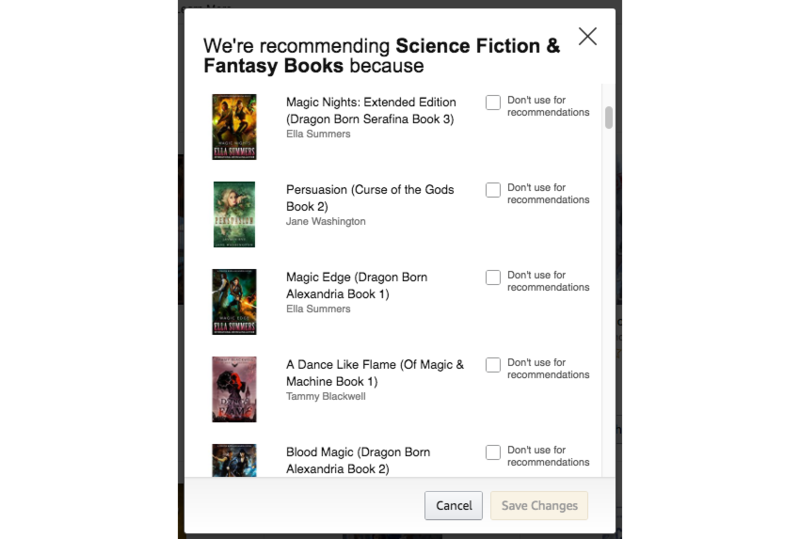 Instagram posts don’t allow viewers to click-through to a website (unless that post is running as an ad). However, every Instagram account’s bio section allows the owner to include a link. Many brands enter the company’s main website URL and never change it. Imagine how you could boost site visits from your Instagram account if you changed the bio link to stay relevant to a recent post. That extra little effort enables you to include a call to action in the caption: “Click the link in our bio for more info!” Then, use your Google Analytics account to track the number of website visits you receive from Instagram, just as you would for any other referral source.